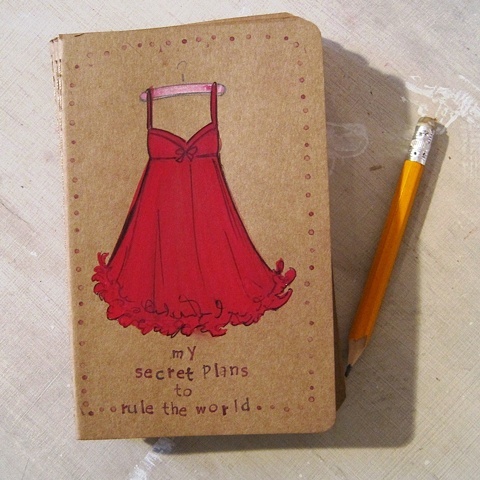 Your secret plans to rule the world will be helped immensely by this hand illustrated Moleskine Notebook. Underneath your babydoll looks, there's a lot of plotting and scheming to be done! If you would like to help someone else realise their secret plans, and want a personalised notebook... just let me know!